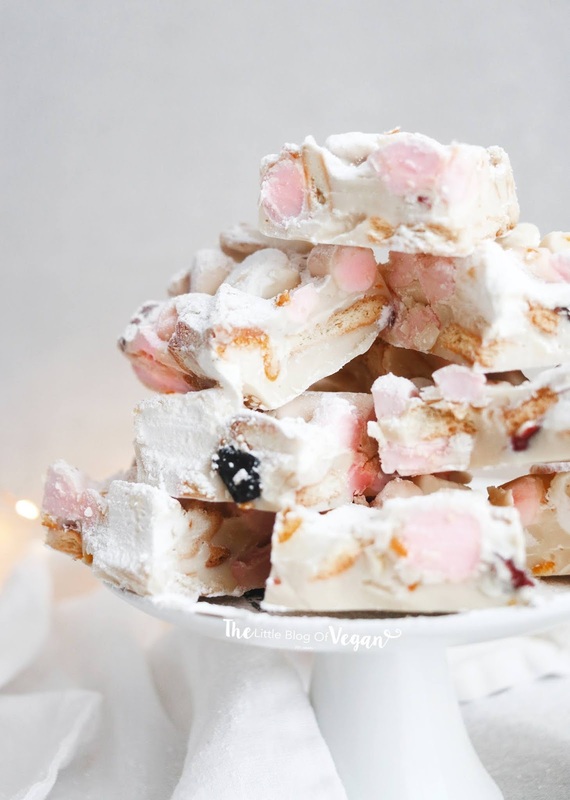 The classic milk/dark chocolate rocky road has been a Christmas favourite of mine. Greg's Bakery recently bought out a snowy road which just happens to be suitable for vegans, and since I tried it...I loved it so much, I knew I had to recreate it at home! 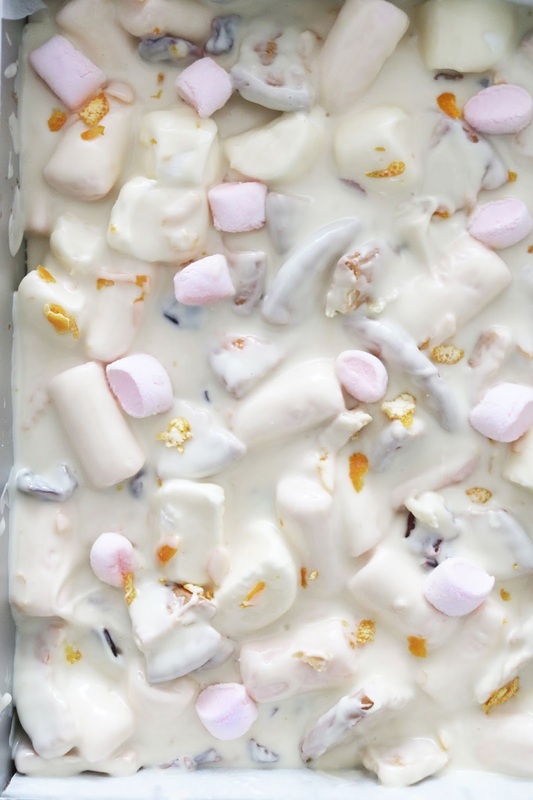 A snowy road is a white chocolate rocky road, filled with nuts, marshmallows and anything your heart desires. 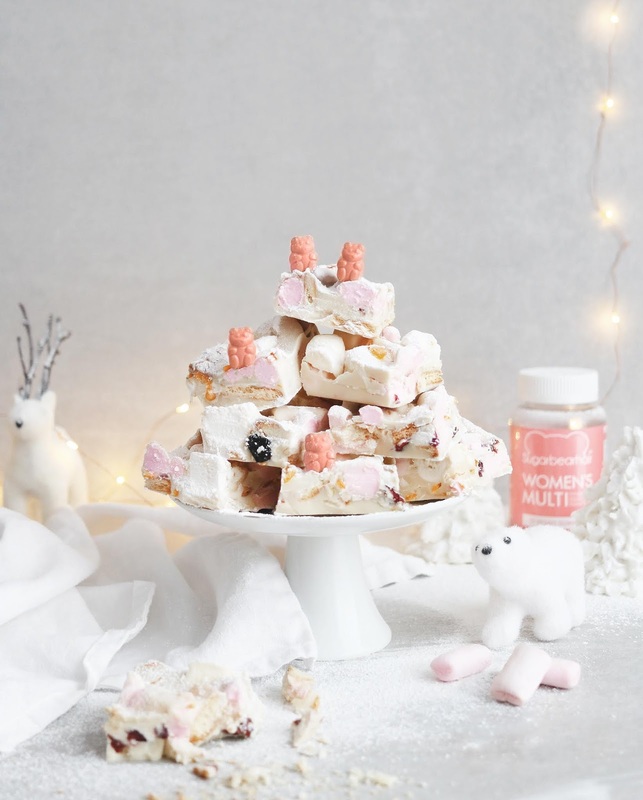 This festive snowy road incorporates dairy-free white chocolate with vegan marshmallows, cranberries and orange for a festive flavour, along with crushed cookies for crunch and added texture. These snowy roads are in collaboration with Sugar Bear Hair. 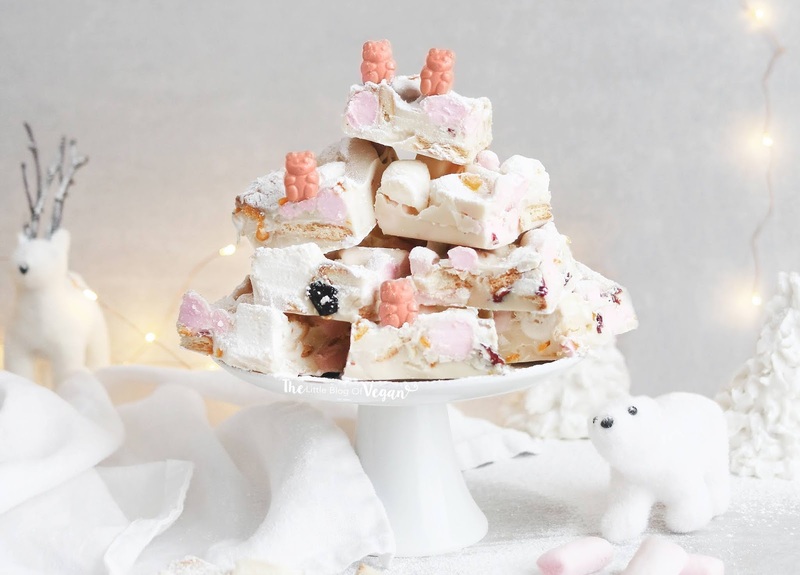 These snowy road bars are extremely quick & easy to make, and taste scrumptious! Perfect as a sweet snack or to serve at a Christmas party/family gathering. Step 1- Line an 8 x 6 inch tin with grease proof paper. Step 2- Place the white chocolate into a bowl and melt until smooth, then set aside to cool slightly. (You can use a microwave or a bain marie, like I do). 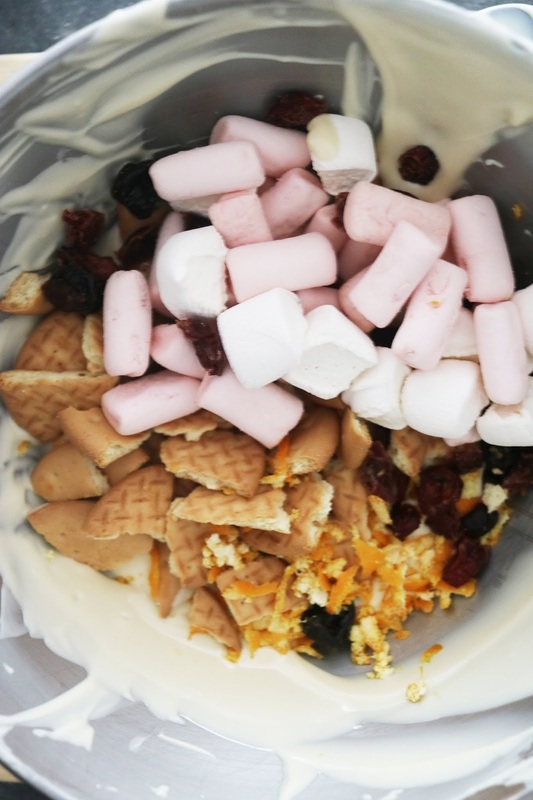 Step 3- In a separate bowl, combine the marshmallows, crushed cookies, cranberries and orange zest. Step 4- Pour the white chocolate in with all of the other ingredients and fold in. Don't overmix or you could run the risk of melting the marshmallows. Step 5- Pour the mixture into the lined tin, even out with a metal spoon and pop into the freezer until set. This will take around 30 minutes -1 hour. Step 6- Once set, remove from the tin and cut into 12 mini squares. TIP: It helps to heat up a sharp knife before cutting into the chocolate. Enjoy immediately or serve them with a dusting of powdered sugar. Store in the freezer and allow to defrost 15 minutes before serving.